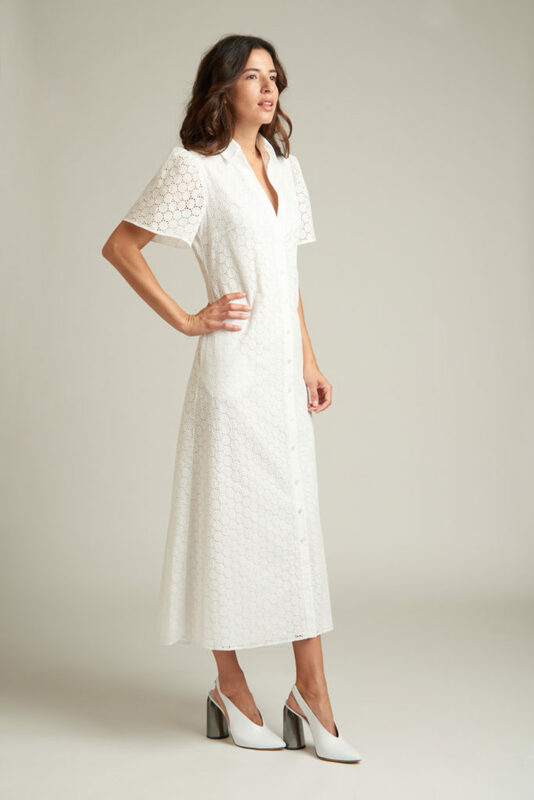 Understated and elegant, our column silhouette crafted from a seasonless crepe fabric is an easy-fitting piece with shoulder darts, midi-length with side slits, and a concealed front placket. Layer it over a tank or a crisp white shirt. 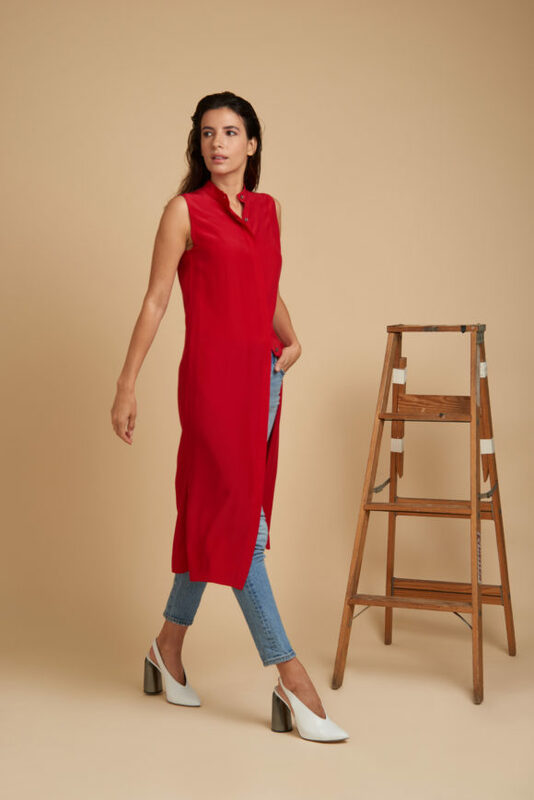 We also love it over jeans! Size & Fit Information: Fits true to size, take your normal size.